Nobody knows portables like Nomadic! We invented pop-up technology and set the industry standard. 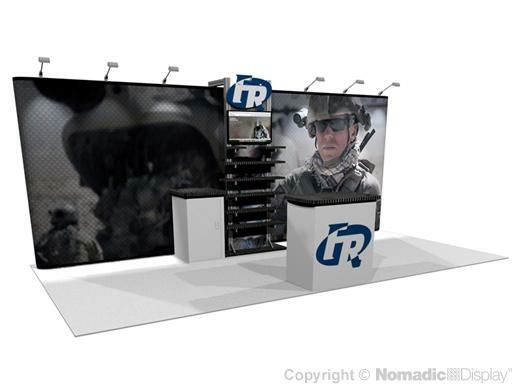 Nomadic Instand® pop-up displays deliver a professional, high impact presentation that is compact, light weight and easy to set-up to save you time and money. Our pop-up display is backed by an industry's best "No Questions Asked" Lifetime Warranty. This custom portabe display features product shelving, av for looping presentations, and a reception counter for greeting visitors.